Tassel Dress for Under $15 ~ Roses and Rain Boots . It's FINALLY summer y'all!! I cannot believe it. Although I am doing a couple projects for work it's nothing too demanding on my schedule. This is actually my first summer not teaching summer school. I am so excited to have the next two and half months to blog, beach it and relax. What is your favorite thing to do during the summer?! To start my summer off right I needed an easy summer dress, so I was super excited when SheIn reached out to me and offered me an item to review. I actually had such a hard time choosing just one item! But I finally settled on this beauty and was even happier I did when it arrived. And guess what...this dress is under $15. These bright colorful tassels are perfect for a summer outing and this fabric is so light weight it's perfect for a hot summer day. I have to be honest, SheIn is not known for it's customer service, but I was completely impressed with the quality of this dress. They also have a site locally in the United States, so that helps speed up the shipping process (I have spoken to other bloggers who previously purchased items from SheIn too and they all encourage purchasing they express shipping). Although the customer services isn't great, you cannot beat the price... so what are you waiting for? I can't wait to see how you style it. OBSESSED with this dress!! Love how you styled it too! Girl you are too funny, thanks SO much for stopping in & for all the kind words! Very cute style! 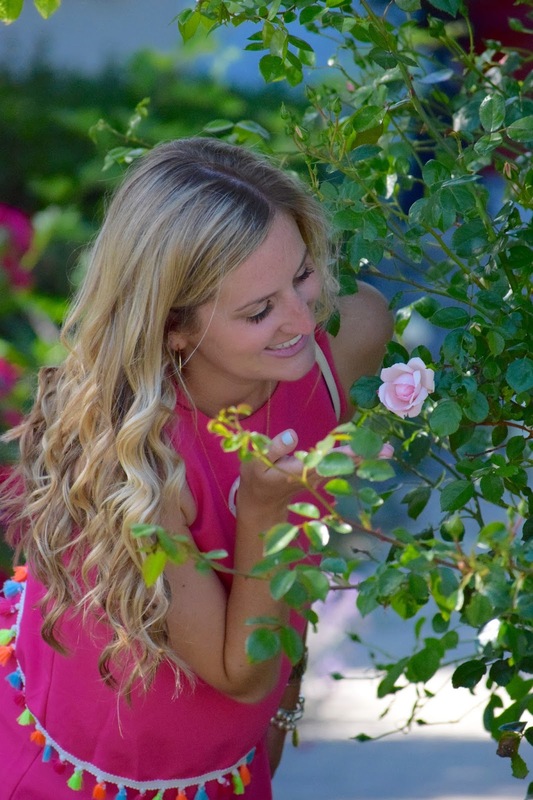 Love the pop of pink! Thanks Brittany! I have such a thing for pink! Aww this is such a pretty southern style dress! I love it! Such a cute dress! I totally want it now. Girl, you should totally get it! Such a great deal, can't wait to see how you style it! 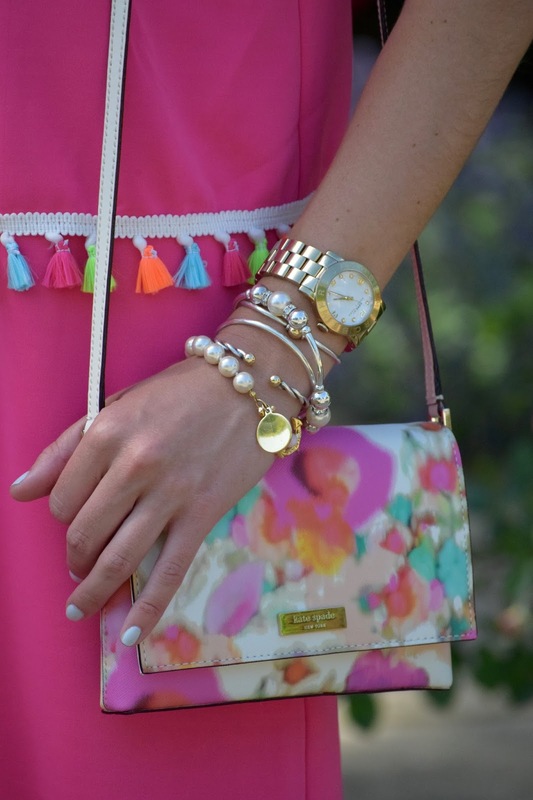 Love the tassel details- so cute! Love a good tassel dress! Love the bright colors so fun for summer! The hot pink looks AMAZING on you! And I love the tassels! That dress is too cute! 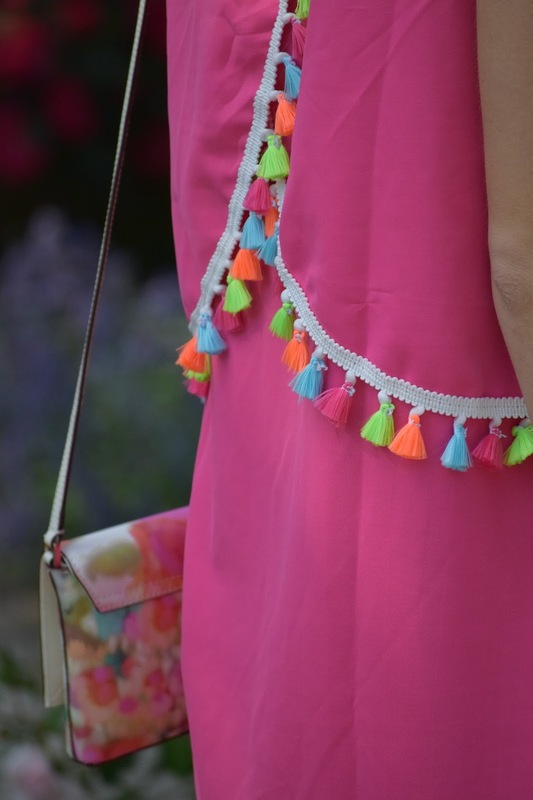 I love all the bright tassels-perfect for summer! SUCH a pretty dress on you! I've been impressed with many of the items I've received from SheIn. One or two took forever to receive, but most have come faster (much thanks to that US facility). You really do look gorgeous! Thanks Amanda, there are SO many trends I am loving right now, it's hard to choose just one. Tassels are my favorite summer trend right now. I love the way you styled this dress! What's not to love about them, especially when they come in such bright colors. What a fun, summery dress! So cute! This tassel dress is my favorite! The colors are to die for! Those colorful tassels are so fun! Tassels are super in this year.